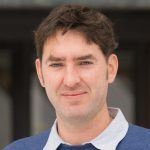 James's research interests have centered on social network analysis, causal inference, multivariate-hierarchical modeling, and the design and analysis of medical device clinical trials. He has developed novel statistical methods, often involving novel use of Bayesian statistics, to solve important methodological and applied problems in health policy and health services research, including the evaluation of treatments and quality of care in multiple areas of medicine. Dr. Gilbert-Diamond's research lab focuses on gene-environment interactions related to child growth and health including in utero exposures to toxic metals and vitamin D as well as early life exposures to electronic media and unhealthy diets. Dr. MacKenzie uses statistics to help medical researchers from a vast spectrum of disciplines and specialties. Over a 180 peer-reviewed publications have resulted from his collaborations. He has expertise in survival analysis. Dr. Whitfield's work focuses on is Precision Medicine in systemic sclerosis (SSc). His laboratory is identifying gene expression biomarkers that subset SSc patients, predict clinical endpoints, and assess response to therapy. The lab is focused on understanding the pathophysiology of the disease, analyzing molecular data from SSc clinical trials, perform network analyses on SSc genomic data, and using this information for drug repositioning efforts. Professor Karagas' research encompasses interdisciplinary studies to illuminate the etiology of human cancers, along with adverse pregnancy and children's health outcomes. Her work seeks to identify emerging environmental exposures, host factors and mechanisms - that impact health from infancy to adult life, and to apply novel methods and technologies to understand disease pathogenesis. Dr. Dunlap's research is directed towards understanding the mechanism by which eukaryotic organisms keep time on a daily basis, and how this capacity to keep time is used to regulate metabolism and development. Circadian clocks with fundamentally identical characteristics are found in all groups of eukaryotic organisms, but the uses to which these clock are put reflects the diversity of evolution. The Tosteson lab conducts statistical research in the areas of noncompliance in surgical clinical trials, covariate measurement error for nonlinear regression models and statistical methods for image based research. Dr. Demidenko has broad interests in theoretical and applied statistics, applied mathematics, and biomathematics. He has published papers on mixed models, sample size and power calculations, asymptotic hypothesis tests comparison, optimization in statistics, image reconstruction, inverse problems, financial mathematics, partial differential equations, statistical analysis of image and shapes, and tumor response to treatment. Dr. Frost's research focuses on the development of novel bioinformatics and biostatistical methods for high-dimensional data analysis. Applied research areas include gene set testing, gene-gene and gene-environment interactions, biomedical ontologies and cancer genomics. Statistical topics of interest include penalized regression, principal component analysis, random matrix theory and optimization. Dr. Gui's is developing cutting-edge biostatistical methods for the analysis of high-dimensional omics data. Recent work has focused on the detection of gene-gene interactions in genome-wide association data. Olga has substantial experience in cancer studies of epidemiological and genetic risk factors and in modeling lung cancer natural history, screening and population lung cancer trends. Using a carcinogenesis modeling approach, her group was able to derive risk profile-specific estimates of lifetime lung cancer risk in individuals with different smoking histories. Through modeling they have estimated potential lung cancer mortality reduction due to CT screening, in populations stratified according to their lung cancer risk profile. Yet another area of her interest is genetics of scleroderma. 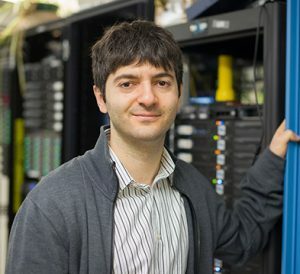 Saeed Hassanpour is developing computational methods and tools for extracting and organizing biomedical knowledge from unstructured data and text. The lab's data mining interests cover a wide range of data from clinical notes, patient medical history, radiology and pathology reports, medical imaging repositories, biomedical literature, the Web, and social media contents. The lab's knowledge extraction frameworks aim at distilling meaning from heterogeneous, complex and massive amounts of biomedical data and text, improving the understanding of medical conditions and health care, and having a practical impact on clinical care. Dr. Moen’s research program uses state-of-the-art bioinformatics and data science methods to study variation in cancer care delivery and patient outcomes. Specific interests include using social network methodology to understand cancer care coordination and how novel cancer technologies are adopted by clinicians. My research aims to better understand the development of healthy lifestyle behaviors (diet, physical activity, sleep) during early childhood. I focus on measuring the influence of food marketing on children's dietary intake and eating behaviors, and on measuring how media use and media exposure in the home at a young age impacts sleep and eating behaviors prospectively. 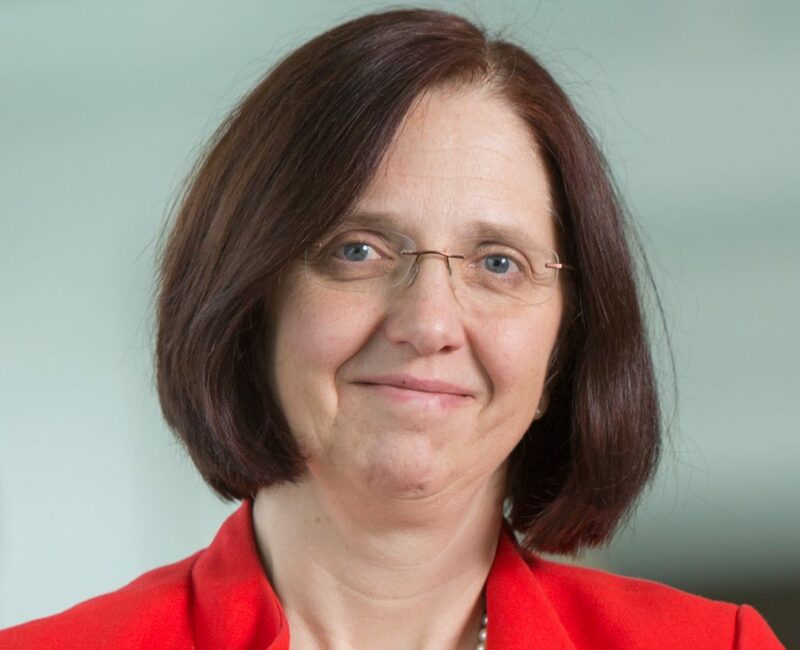 Dr. Onega's major interests are in cancer control and geoinformatics, with a focus on understanding health care access, delivery, and effectiveness across health care systems and populations. Her team integrates methods from geosciences, informatics, and epidemiology to address questions ranging from technology diffusion to cancer screening, population health, and risk assessment. Dr. Yapalparvi has a PhD in applied mathematics where his research was focused on fluid dynamics, optimization, and mathematical modeling. Before transitioning as a data scientist, he worked in various universities across the world teaching mathematics. Ramesh has experience in developing predictive models for insurance and healthcare sectors and also provided consultancy services to various start-ups in engineering and machine learning. 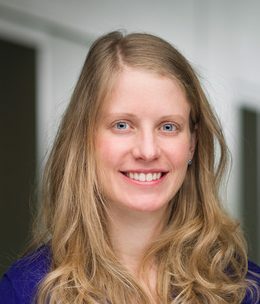 Dr. Christensen's research is focused on combining advances in molecular biology, genomics and bioinformatics with the powerful techniques of modern epidemiology and statistics to characterize epigenetic states in human health and disease. Dr. Barry is the Project Director for the Vitamin D/Calcium Polyp Prevention Study, a multi-centered randomized controlled trial of Vitamin D and/or Calcium for the prevention of colorectal adenomas. Her research focuses on cancer chemoprevention and the mechanism of action of chemopreventative agents. Dr. Hoen's research focus is on the development of the microbiome in infants and children, and the associations between environmental and dietary exposures, the microbiome, and risk for infectious and other diseases. Dr. Passarelli is a cancer epidemiologist focusing on genetic and environmental risk factors for common cancers, including the molecular epidemiology of colorectal cancer and adenomas. Dr. Rees is a physician epidemiologist and the director of the New Hampshire State Cancer Registry. Her research interests include disease surveillance; epidemiology of cancer; multiple malignancies; epidemiology of infectious diseases; environmental health; randomized control trial methodology. Dr. Romano's research lab explores the influence of maternal exposure to environmental endocrine disrupting chemicals (EDCs) during pregnancy on early life growth, childhood development, and pregnancy complications, with a focus on EDCs commonly found in consumer products in the United States, including phthalates, perfluoroalkyl substances (PFAS), parabens, and flame retardants. Jeremiah Brown an Associate Profressor of Epidemiology, Biomedical Data Science, and Health Policy. He is the principal investigator on two NHLBI R01 grants focusing on predictive analytics for readmission. 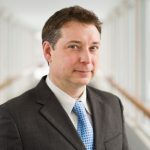 He leads the Cardiovascular Outcomes team at The Dartmouth Institute focusing on cardiovascular epidemiology and biomedical informatics research. 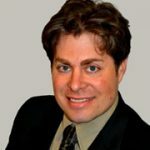 He has also received funding from the American Heart Association focusing on molecular epidemiology, Agency for Healthcare Research and Quality (AHRQ) studying patient safety and acute kidney injury, and the Veterans Administration focusing on the development and evaluation of a national risk model for acute kidney injury. The cardiovascular outcomes team is committed to supporting student research and instruction, training PhD students, postdoctoral fellows, clinical residents and fellows, graduate students, medical school fellows, and undergraduate scholars through the Women in Science (WISP) program, Neukom Institute, and undergraduate advising & research (UGAR). Dr. Tosteson's research addresses clinical and health policy issues in cancer and musculoskeletal diseases through decision-analytic modeling and economic evaluation. 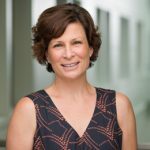 Her methodological interests include decision-analytic modeling, comparative effectiveness research, and statistical methods for diagnostic technology assessment. The goal of the Computational Structural Biology Laboratory (CSBL) is to develop integrated computational-experimental approaches to the structural and functional understanding of and control over the molecular machinery of the cell. The focus of Dr. Grigoryan's research is to understand the principles underlying natural protein structure and function towards the design of novel proteins for targeted applications. Specific problems of interest include designing proteins to specifically disrupt/potentiate cellular protein-protein interactions, designing protein self-assembly as well as co-assembly of proteins with nanomaterials, and the development of novel computational tools to enable more quantitative/accurate design of detailed molecular properties. The objective of Dr. Diamond's research is to use bioengineering and simulation to understand how the brain works. Specific interests include biomedical imaging, functional neuroimaging, physiological modeling, neurovascular coupling and magnetic nanoparticle imaging. The Hill lab focuses on determining the identity of pathogens infecting the lung, bloodstream, or urine using the molecules present on a patient's breath, or directly "sniffing" the fluid, respectively. The researchers use a variety of tools in combination, including: advanced mass spectrometry, microbiology, molecular biology, advanced statistics, and also, basic electronics. The Bosco lab has two major interests: One part of the lab studies learning and memory and inheritance of behavior. The other part of the lab studies how chromosomes and chromatin are organized in 3-dimensional space. Fruit flies are used as the model organism. Dr. Gerber's lab develops high-throughput mass spectrometry technology and bioinformatics methods for the analysis of proteins and their post-translational modifications in complex biological processes such as cell division and tumorigenesis. Dr. Sanchez's laboratory studies the pathways that protect genomic integrity and in particular the study of the Chk1 protein kinase, a target of inhibitors currently in clinical trials for cancer. DNA damage has been found to be an early event in pre-malignant lesions and can be caused by deregulation of cancer-driving genes called oncogenes. This finding led the Sanchez laboratory to develop and use genetically engineered mouse models to investigate the role that Chk1 pathways play in the early stages of cancer development.Genomic information can allow investigators to devise precision therapies that target molecular lesions specific to a patient's cancer. Dr. Sanchez's laboratory also works on applying the concept of synthetic lethality by combining chemical screens with isogenic platforms for the identification of drugs and drug targets for the treatment of cancer. The Miller Lab focuses on mechanisms of drug resistance and the implementation of molecular therapeutics for breast cancer. We integrate data from cellular and mouse models of breast cancer and early-phase clinical trials to understand how cancer cells respond and adapt to drugs, and ways to abrogate drug resistance. In the Epilepsy and COGnition lab we study the relationship between cognition and epilepsy based on intracranial neurophysiology (Electrocorticography=ECoG). We also study the effectiveness of brain stimulation to treat epilepsy and seizures as well as to treat memory impairment. Dr. Andrew is a molecular epidemiologist with research interests in genetic and environmental factor interactions and their impact on cancer risk or prognosis. Recent projects include a large-scale investigation of SNPs and exposure factors that influence bladder cancer, and a multi-level analysis of lung tumor molecular markers in relation to exposure factors. The goal of the Environmental Diseases Genomics Laboratory is to understand the role of environmental agents such as dioxin in determining susceptibility to disease. A central focus of the lab is the use of genomics to understand obesity and the fetal basis of adult diseases (FeBAD). Dr. Zhaxybayeva's research interests are to understand how microbes change over time by mining data sets containing thousands of genomes and terabases of environmental DNA (metagenomes) in order to find new ways to characterize microbial communities, and track down genomic signatures of microbial adaptations.